Whether you have been a lifelong athlete, or have recently found yourself getting sporty, you have likely discovered that paddling has helped improve your life in countless ways. The most obvious improvements focus on the health benefits. Paddling is great cardio, makes you stronger and more fit and can even help you lose weight. But what about the other benefits? Being an athlete develops a discipline that transfers to all aspects of your life: work life, social life, home life, etc. As you find yourself devoting more time to paddling, it is probable that you will find various facets of your life improving. Although it is often difficult to balance it all, the focus, drive and determination that it requires to advance your paddling skills don’t simply stop when you get off the boat. Here is a list of the top 10 ways that paddling benefits your life both on and off the boat and leads to success in other parts of your life. 1) Listening with the intent to learn – Your role on the boat is to work on mastering your paddling skills and improve with each practice. Carefully listening to your coach will help you better understand each drill, each explanation of your team’s technique, and the purpose for each exercise. Hopefully your coach is concise in his or her explanations, but if not, you get a stellar chance to work on your listening skills. I love the quote, “Listen with the intent to understand, not with the intent to reply.” The boat is an excellent place to practice this. 2) Remaining focused with specific objectives – On the boat, your concentration should be on your technique, the drills your team is practicing, and your timing within the boat. This type of deliberate training helps keep you on task. 3) Remaining calm, cool, collected, even when you feel like freaking out – Standing in the marshalling line with butterflies in your stomach? Sitting at the start line of an important race? Paddling down the course for your time trial? Many aspects of paddling require you to maintain your composure. Find your center, find your happy place, and be able to go there when you are under pressure. 4) Maintaining respect for teammates and competitors – Sure, there are teammates and even teams that we might not get along with, but we (hopefully) manage to uphold a level of respect for them based on their athleticism. Being able to set aside personal issues is critical to respecting people for their talents. 5) Being punctual and eager – You have to be on time to practice and are likely enthusiastic about being on the boat. Getting in the habit of being prompt and ready to start your tasks is beneficial to your success. 6) Taking responsibility and accountability – Were you the one who got out of sync? Did you show up late to marshalling? Did you mess up on the start sequence? Take responsibility for your actions and take the necessary steps to make a positive change. 7) Assertiveness – The stronger you feel in the boat, the stronger you will feel off of the boat. If you really want a boost of assertiveness, take a leadership role within your team. Be a committee head, learn to steer, help coach a practice, learn to drum. Teams always need people to step up and take on the jobs to help run the team. In doing so, you will find your confidence soaring. 8) Paying attention to details – Paddling is more than just sticking your paddle in the water at the same time as everyone else. Your team likely has a start sequence, various commands, a finish sequence, and certain strategies based on the length of a race. In addition your stroke may vary – short “press strokes” or lengthened strokes. Your attention to these critical aspects of a race strategy are essential to your team’s success. 9) Setting and accomplishing your goals – Looking to make your team’s race boat? 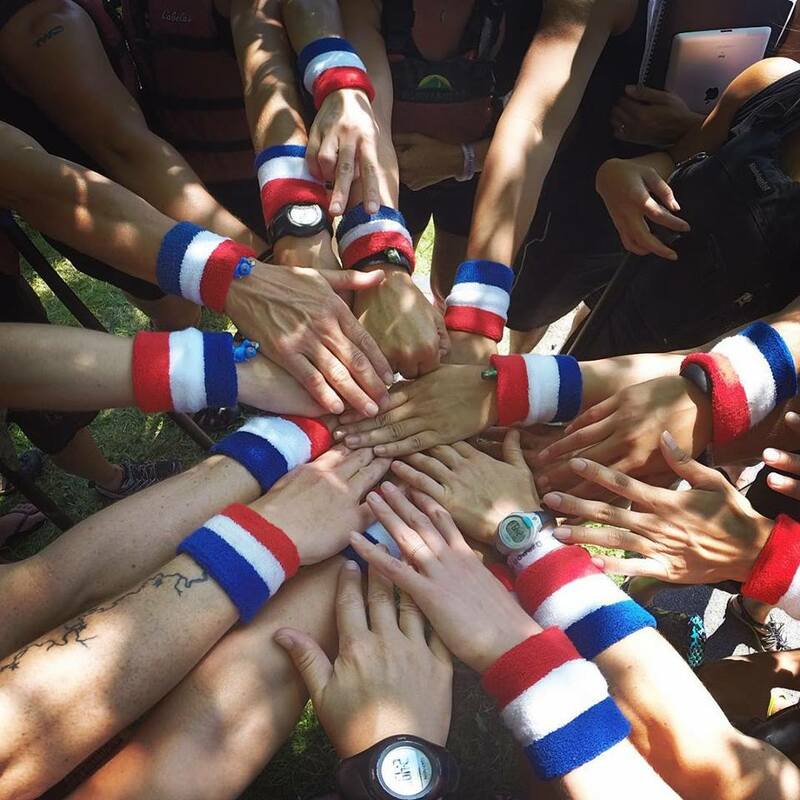 Do you want to make your team’s mixed crew? Are you hoping to make your country’s national team? Understanding the level of commitment necessary for training will help you see the steps you need to achieve your goals. It is important to have a vision of the path you need to take towards accomplishing your ambitions. 10) Seeing things through to the finish – Not only for a 500m race but also an entire season, your “stick-with-it-ness” helps you to be a dedicated member of the team. Perseverance and tenacity are highly valued attributes. Whether your paddling career is new or has been growing for decades, consider all the remarkable ways that your life has improved since you first picked up that paddle. You can’t deny it. 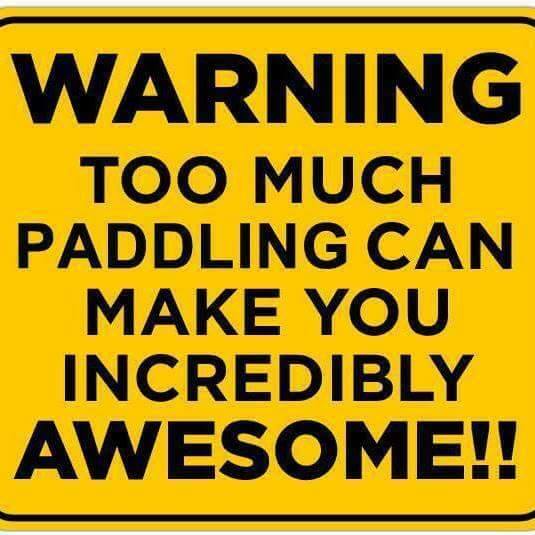 Paddling makes life awesome.